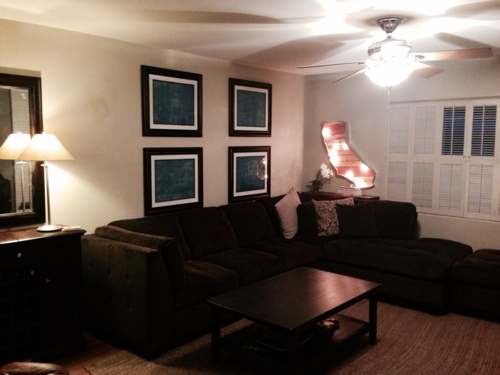 Hubbs (Eric) had but one request when we first moved into our home…He asked that the living room “doesn’t look girly.” It’s taken a year to understand what that means to me (no floral prints, salmon colored anything, white furniture, etc) Luckily this is a style request we both agree on and find marital bliss with “masculine”. 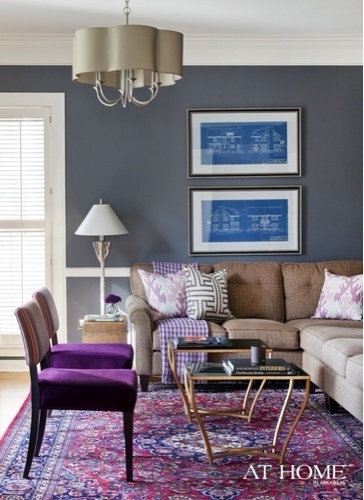 To this point our “style” has been more like “hand-me-down-chic”. We’re only now realizing we’re in our thirties and the house needs to look less like a college dorm and attempt to decorate. (I snapped this pic on a morning running out the door to work, no staging, no cleaning.) As you can see a guy lives here. 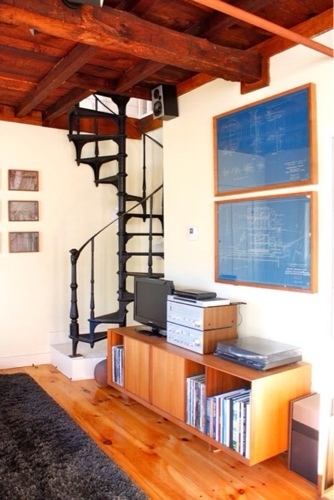 However this is still the first room upon entering the house so something needed to be done. 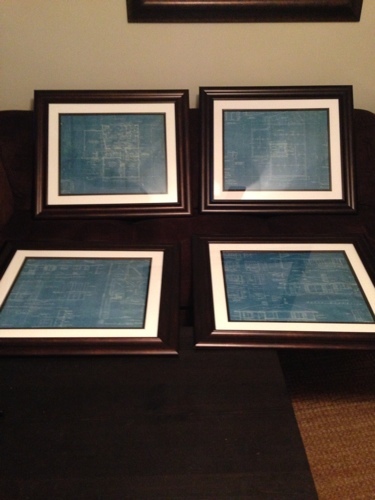 Four original blue prints of our 1948 home rolled up and hidden in a cabinet! 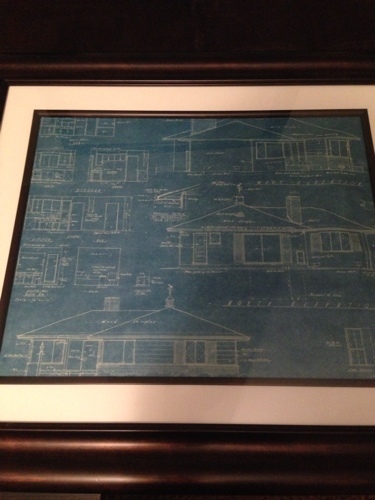 I’ve been in love with blue prints as art for years! 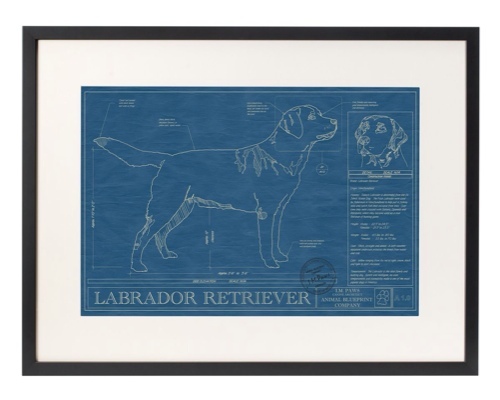 It must have been kismet to find these blue prints and finally a solution for “masculine” looking art work. 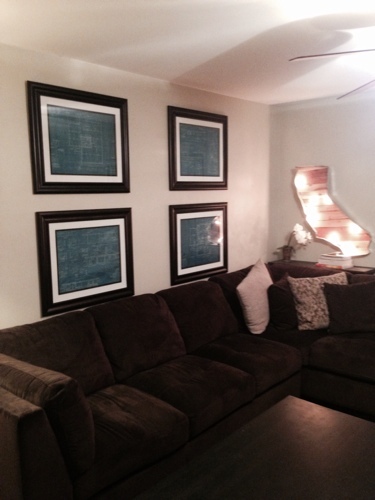 Michaels coupons in hand I was able to score four beautiful frames and matting for $60. Then up on the wall they went! 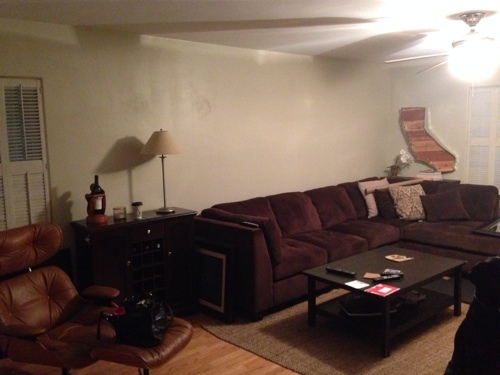 I think we can all agree the room looks a bit more “mature”, less hand me down chic, and definitely that a guy lives here. Someday there will be a perfectly staged photo that belongs in Sunset magazine or House beautiful, but for now I’m just happy I have decorated walls and it’s clean! Happy Sunday everyone! 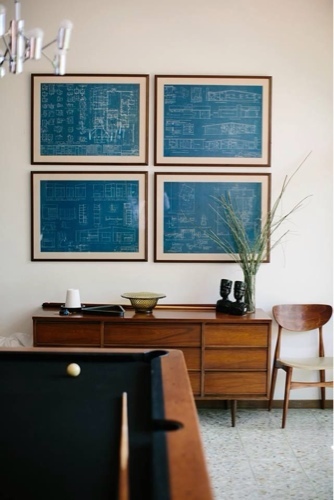 This entry was posted in Uncategorized and tagged blue prints, Decorating, decorating room for guys, framed blue prints, living room, masculine, vintage by Tandra. Bookmark the permalink.